Balancing your bodybuilding program with your career, friends, family and other hobbies/pursuits is hard work enough... the last thing you need on top of this is to waste valuable energy on redundant, ineffective nutritional techniques that do nothing but make your life more complicated. Ignore the endless "bro science" out there and ignore the so-called "gurus" who offer up their "advanced strategies" with no real scientific backing behind them. Let's keep things efficient, straight to the point and dispel 6 common nutritional myths that continue to circulate in the bodybuilding community. 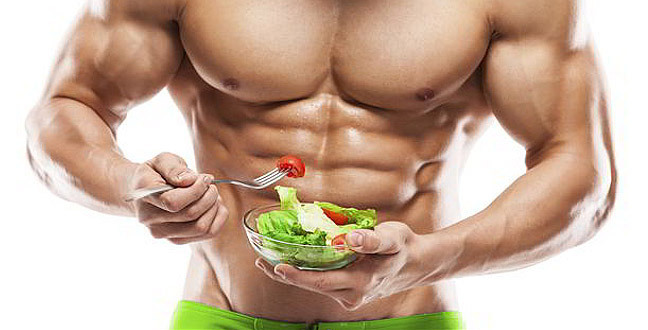 You must consume a meal every 2-3 hours throughout the day in order to maximize muscle growth and fat loss. The idea behind the "eat every 2-3 hours" rule is that these frequent feedings (usually around 6 per day) will keep the body in an anabolic state and keep your fat burning metabolism elevated by keeping you out of "starvation mode". Digestion and absorption is an incredibly gradual process, and most standard sized meals will keep your body in a net anabolic state for around 5-7 hours. If you want to maximize muscle growth and/or fat loss, just focus on meeting your total protein/carbohydrate/fat requirements over the course of the day as a whole. Lay it out in a way that fits your schedule and that falls best into your natural pattern of hunger. You'll get the same results, and without the headache that comes with obsessing about getting a meal in every few hours. You must consume a whey protein shake immediately following your workout to prevent muscle catabolism and kick-start the recovery process. Once again, digestion/absorption is a very gradual process, and as long as you consumed a meal of some kind within a few hours of beginning your workout, those same nutrients are still being broken down and utilized even after your session is over. Slamming a protein shake within 36.7 seconds of your last rep certainly isn't going to hurt, but it isn't mandatory either. If you want to wait an hour or two, it's not going to make any noticeable difference to your results. 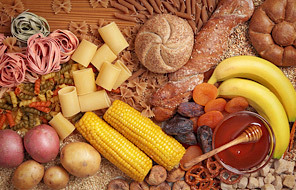 You must avoid consuming carbohydrates in the evening in order to prevent excess fat storage. Every day, your body expends a certain number of calories (calories are just a measurement of energy) to fuel natural bodily processes (such as breathing, digestion and circulation) plus all of your additional activities. In order to lose body fat, you have to create a “calorie deficit” by taking in fewer calories than you burn. This stimulates the body to tap into its excess fat stores to obtain a source of fuel. As long as that calorie deficit is consistently in place, the specific timing of your carbohydrate consumption will NOT make any difference in the overall picture. Fat loss and fat gain is not an "on/off" switch. Both processes are happening simultaneously. Whether you burn more fat earlier in the day and store more later on, or store more fat earlier in the day and burn more later on, the net result is still going to be the same as long as your total calorie intake remains constant. You must avoid eating before bed in order to prevent excess fat storage. The basic logic here is the exact same as the previous myth. Fat loss/fat gain is determined by your overall net energy balance. As long as your total calorie intake remains constant, it makes no difference whether you burn/store more fat earlier in the day or burn/store more fat later in the day. The net result will be the same regardless of nutrient timing. It is a basic matter of energy consumed versus energy burned. As long as you're tracking your total protein/carb/fat intake accurately each day, you can eat whenever you feel like it without worry. Stick to slow-absorbing carbohydrates on the low end of the glycemic index. The glycemic index (GI) is a chart that ranks carbohydrates from 0 to 100 based on how quickly or slowly they raise blood sugar levels in a 2-hour period after they are consumed. The idea is that consuming carbs on the low end of the scale will provide you with a "steady stream" of sugars rather than a quick spike, which prevents excess fat storage. * GI rankings are based on the glycemic effects of specific foods that are consumed isolated and in a fasted state. Aside from first thing in the morning, you’ll never be consuming your carbohydrates in a fasted state. 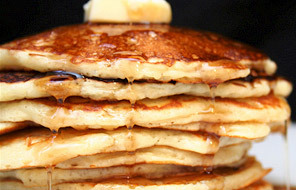 * A typical bodybuilding nutrition plan always combines carbohydrates with fats and proteins. 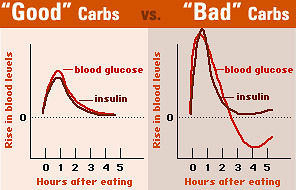 Consume your carbohydrates as part of a complete meal and the glycemic response can be dramatically altered. As long as the majority of your carbohydrate intake is coming from minimally refined, higher fiber sources, the glycemic index rankings are essentially useless. You must "eat clean" 24/7 if you really want to get into impressive shape. Your body cannot recognize individual food items as separate entities. It does not say "that's a chicken breast, that's an apple and that's a cup of rice". 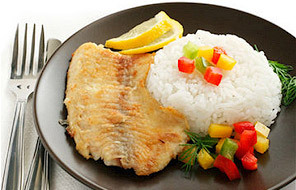 It only sees the complete diet as a whole - the total protein, carbs, fats and micronutrients that you consume each day. As long as the majority (around 80-90%) of your diet is being derived from "clean" food sources (lean/high quality protein, minimally refined/high fiber carbs and healthy fats) and your vitamin/mineral/other micronutrient needs are being met, slipping in some "cheat foods" to fill in the remaining 10-20% is not going to make any difference to your results. What it WILL do, however, is make your overall life more enjoyable while yielding the same results as the next guy who is eating nothing but chicken, broccoli and brown rice 24 hours a day.